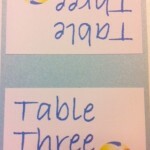 We’re doing a lot of dual language wedding invitations this season. Here is an example of a German and Englsih one we did for our Wedding couple getting married in Switzerland! 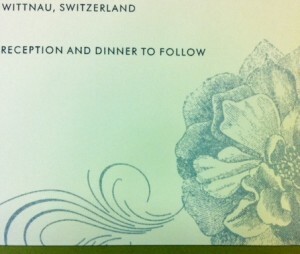 Our couple getting married in Switzerland chose to use a two-sided invitation. 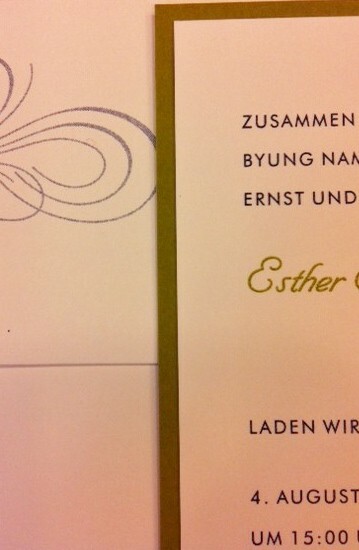 On one side they had their invitations printed in English and on the other side they had their invitation printed in German. This dual-language, two-sided invitation by Checkerboard is printed in Navy ink on cream stock with a tarragon layer. This is the second side of the invite in German. The wedding will take place in Switzerland and the couple reside in San Francisco, CA. The couple’s names are accented on both invitations with complementary tarragon ink and cursive font style. The combination ink coloring is a nice way to create a uniform look with the tarragon layering stock used on the card. 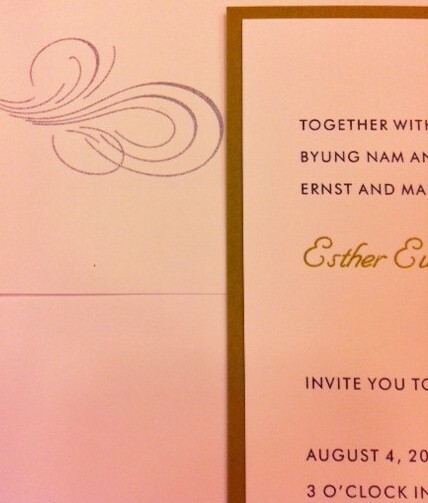 You can order this invitations ONLINE or come in, call or EMAIL US at Hyegraph Invitations & Calligraphy San Francisco. 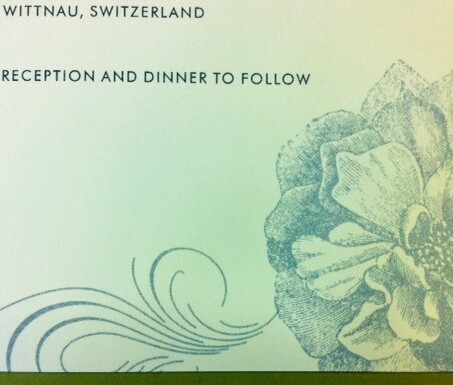 Here, the reception is to follow the dinner, therefore both the invitation and reception can be printed on the main invitation without a second “reception card”. The reception portion of the invitation is illustrated with a flower motif to add an artistic element to the invitation. All of these designs were created using Checkerboard invitation designs. If you’d like us to help you with designing invitations for your next event please see our blog and website for ideas and/or come in to see our designs in person. For dual-language wedding invitations see our blog category under Dual-Language Invitations. 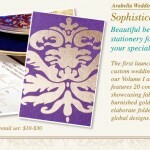 You can ORDER INVITATIONS ONLINE or COME IN, CALL OR EMAIL US at Hyegraph Invitations & Calligraphy in San Francisco.